Indian Cabinet has been changed on October 28, 2012. In this mega reshuffle, 22 Ministers, including seven of Cabinet rank, were inducted into the Manmohan Singh government in what is seen as the last such exercise by UPA-II before the 2014 general elections. Red Bull's Sebastian Vettel won Indian Grand Prix 2012 title. Fernando Alonso managed to get the Second place and Mark Webber got the Third Place. By winning this title, mr Vettel made his four consecutive wins for the first time in a season in his Formula One career to strengthen his grip on securing a third successive world title. Vettel led the Indian Grand Prix from lights to chequered flag to open up a 13-point lead over Fernando Alonso with three races remaining as the Ferrari star was forced to settle for second, albeit his best finish since a win in Germany in July. Not since Jenson Button in 2009 has a driver chalked up four wins in a row, with Vettel's run to the championship finish line seemingly perfectly timed. Miss Japan, Ikumi Yoshimatsu, won the Miss International 2012, the 52nd edition of the Miss International pageant title which was held at Okinawa, Japan on October 21, 2012. She beat 68 other beauty candidates, including Miss Philippines Nicole Schmitz, a Filipino-German beauty, who landed as among the Top 15 semi-finalists. Check the details of Complete Winners List Below. Vijaya Bank, one of the Leading Nationalized banks of India announced the details of the candidates shortlisted for the Interview, which is going to be held at different Interview Centers from 5th November 2012 to 9th November 2012 for the post of Probationary Clerks. You can check all the details below. 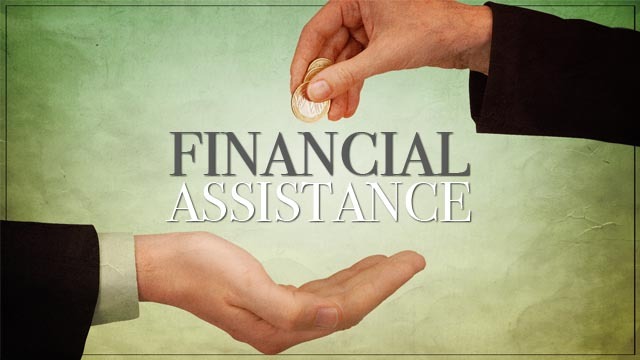 Banks grant short-term financial assistance by way of cash credit, overdraft and bill discounting. Cash credit is an arrangement whereby the bank allows the borrower to draw amounts upto a specified limit. The amount is credited to the account of the customer. The customer can withdraw this amount as and when he requires. Interest is charged on the amount actually withdrawn. Cash Credit is granted as per agreed terms and conditions with the customers. Banks provide short-term finance by discounting bills, that is, making payment of the amount before the due date of the bills after deducting a certain rate of discount. The party gets the funds without waiting for the date of maturity of the bills. In case any bill is dishonoured on the due date, the bank can recover the amount from the customer. Andhra Bank, one of the leading Nationalized Banks of India is inviting applications from the eligible candidates who have qualified IBPS Clerical Exam 2011 and had obtained Valid Score cards for filling up its 850 Clerical Vacancies (2nd Phase).Candidates who have remitted the requisite application fees/ intimation charges and applied earlier in response to the Bank‟s notification dated 21.04.2012 for 600 vacancies and who have not been called for interview can apply against the additional 850 vacancies without remitting the application fees/ intimation charges. Fresh applicants are required to apply online and remit the requisite application fees / intimation charges. The Online Registration will starts from 27th October 2012 and the last date for the registration is 10th November 2012. Reliance Industries chairman, Mukesh Ambani has retained the richest Indian spot for a fifth consecutive year although his net worth has declined for the third year in a row, according to Forbes Magazine. Mukesh Ambani beat steel giant Lakshmi Mittal and Wipro head Azim Premji to top the Forbes list with a net worth of $29 billion. Though his fortune dropped by $ 1.6 billion in the past year, Reliance Industries remains India’s most valuable company in terms of market cap. Second Position occupied by Lakshmi Narayan Mittal with $16 billion, followed by Azim Premji, Chairman of Wipro Limited, with $12.2 billion followed by Pallonji Mistry with a net worth of $9.8 billion. Dilip Shanghvi, founder and managing director of Sun Pharmaceutical is the biggest gainer making an entry in the top 5 for the first time. Adi Godrej, the Hinduja Brothers, Kumar Birla, Savitri Jindal and the Ruia brothers are others in the top 10. Important point to note is, India has a total of 61 billionaires with four more additions this year. Five Indian companies have made to a list of the world's 50 most Innovative Firms. The Indian Companies Larsen &Toubro, Hindustan Unilever, Infosys, TCS and Sun Pharma listed in the top 50 innovative firms released by US-based business magazine Forbes. The Global list is topped by IT firm Salesforce.com, Indian major L&T is ranked 9th worldwide, followed by HUL (12th), Infosys (19th), Tata Consultancy Services (29th) and Sun Pharma (38th) among the Indian companies. In the overall list, Salesforce.com is followed by Alexion Pharmaceuticals, Amazon.com, software firm Red Hat and China's Baidu, Intuitive Surgical, Japanese internet retail firm Rakuten, Edward Lifesciences, L&T and ARM Holdings. We've already discussed about the Primary Functions of Commercial Banks (you can read that post here). Now we shall discuss the secondary functions of Commercial Banks. Now lets have a detailed analysis of these functions. 1.The purpose of Connecting computers in LAN(Local Area Network)? As we already predicted IBPS Released its Probationary Officer's Results 3 Days Ago. Now its the turn of Clerical Exam (Office Assistants) Results. Today IBPS Released the results of Clerical Recruitment. Check your IBPS RRB Clerical Results Here. All of you know that we've been conducting Model Exams for the upcoming IBPS Clerks Exam. If you are new to this blog, you can check the complete details here. Today we are giving you the Reasoning Session. This is the 4th mock test in the IBPS Clerks Reasoning series. You can check the remaining Practice papers here. All The Best. 1. Forbes on 19 September 2012 released the list of 400 richest Americans. Who topped this list? Indian Overseas Bank, one of the leading public sector banks of India is inviting Online applications from Indian Citizens who have taken the Common Written Examination (CWE) for Recruitment of Specialist Officers conducted by IBPS on 11th March 2012 and obtained a valid Score Card for recruitment of its 387 Specialist Officers posts. Candidates are requested to apply only through online between 16th October 2012 and 31st October 2012 through our Bank’s website. 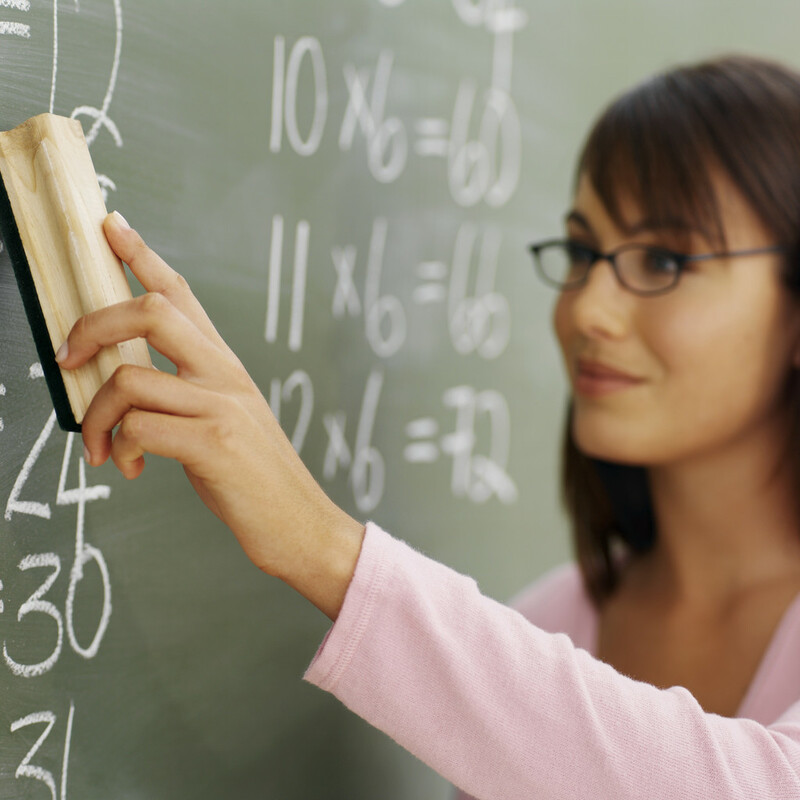 A candidate can apply for only one post for which he/she holds a valid scorecard. The tentative Date of the Interview is November / December 2012. Check the remaining details below. Good News friends. Saina Nehwal, the Olympic bronze-medallist shuttler of India won her fourth title of the year by lifting the Denmark Open Super Series Premier trophy with a dominating win in the final today (Sunday - 21st October 2012). The 22-year-old Nehwal, who was competing in her first tournament after the London Games, beat German Juliane Schenk 21-17, 21-8 in 35 minutes to notch up her second Super Series Premier title which fetched her USD 30,000 from a total purse of USD 400,000. "I thank Denmark and the Indian fans here for supporting me. I never expected to win this tournament," an elated Saina said after the win which took her overall lead against Schenk to 6-3. For the General Awareness section of IBPS Clerks online Exam, you should prepare the Current Affairs of last 6 months (June to November), The basic details of India and Neighboring Countries, Sports, Abbreviations, Important Events occurred in Science, Polity, Economy Geography, Dates, Days etc... By keeping the previous papers and the pattern of IBPS Clerks exam in consideration, our expert team made this complete General Awareness Material. Hope this helps you in getting good marks in General Awareness Section of IBPS Clerks Online Exam. All The Best. If you are new to this blog, prease read the Complete Preparation Material of Banking Awareness for IBPS clerks Online Exam here, before answering the following questions. 1. Which of the following banks was merged with SBI in 2010? The President of Mauritius, Shri Rajkeshwur Purryag will be the Chief Guest of the 11th Pravasi Bharatiya Divas (PBD) convention, which will be held from 7 to 9 January, 2013 in Kochi. Addressing a press conference here today, Shri Vayalar Ravi, Minister of Overseas Indian Affairs said that since the centenary of the Gadar Movement is being celebrated in 2013, the PBD Oration will be on the Gadar Movement and an exhibition on this will also be organized during PBD-2013. He said that PBD has become a significant forum to connect the overseas Indians from all over the world and the PBD-2013 will be focusing on more connectivity with overseas Indians. He further said that Kerala will be the partner State of the 11th PBD, which would provide the Diaspora an opportunity to understand the vibrant culture and potential of the State. Kerala has been chosen as the host for the convention since Keralites constitute one of the largest expatriate communities of India. He expressed the hope that more than 2000 delegates would participate in PBD-2013 from all over the world. 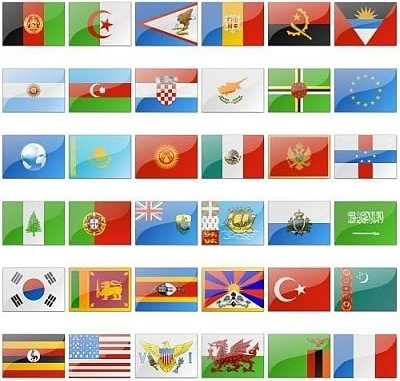 Friends, Here is the List of Countries and their Nicknames. Thanks to our reader Janu Panchagnula for providing this information. Hope this info will help you on preparing IBPS Clerks online exam. Novelist Hilary Mantel, the author of the Best Seller 'Bring Up the Bodies', won the 2012 Man Booker Prize on Tuesday (17th October 2012). This is her second book in her Thomas Cromwell trilogy. Mantel had won the Booker in 2009 for her book 'Wolf Hall', which makes her the first British writer to win the Man Booker Prize twice. Hilary Mantel has made Man Booker prize history by becoming the first woman and the first British writer to win the literary award twice. The Indian author Jeet Thayil who was on the Man Booker Prize 2012 race for his book "Narcopolis" had to return with empty hands. Read Shortcuts of Aptitude Here before doing these problems. These are 20 Questions. And the suggested time to solve these questions is 15 Minutes. All The Best. Bangladesh Premier League (BPL) franchise Chittagong Kings has named former West Indies cricket captain Brian Lara as its Brand Ambassador. The West Indies batting legend, who has signed a three-year contract with the Kings, will be here next month to complete the formalities. "I am excited and honoured to announce that Brian Lara has agreed to join us as the brand ambassador of Chittagong Kings," owner of the franchise, Sameer Quader Chowdhury told ESPNcricinfo. Lara is also expected to be a part of the Chittagong Kings' delegation at the players auction on December 7. Nkosazana Dlamini-Zuma of South Africa was inaugurated as the Chief of the African Union yesterday (Monday - 15th October 2012). She is the First woman to ever fill the position. She will be in charge of peace and security functions and keeping track of the political and economic affairs of the continent. Dlamini-Zuma most recently served as South Africa's minister of home affairs, and had also served as the minister of foreign affairs, according to the Associated Press. In her acceptance speech, Dlamini-Zuma vowed to address the conflict in Mali and the resurgence of Islamist extremists in the Sahel, according to Agence France Presse. Our Cricket God Sachin Tendulkar can add another feather to his crown. Julia Gillard, The Prime Minister of Australia announced that the master batsman has been made an honorary “Member of the Order of Australia,” one of the Australia’s highest honors. Gillard made this announcement while on a three-day official state visit to India. "Cricket is of course a great bond between Australia and India. We are both cricket-mad nations," Gillard told reporters in Delhi. "I am very pleased that we are going to confer on Sachin Tendulkar the membership of the Order of Australia. This is a very special honor very rarely awarded to someone who is not an Australian citizen or an Australian national. The award will be conferred on him by cabinet minister Simon Crean when he visits India." American economists Alvin E Roth and Lloyd S Shapley were awarded the Sveriges Riksbank Prize in Economic Sciences in memory of Alfred Nobel for the year 2012. Mr Alvin E Roth is from Harvard University and Mr Lloyd S Shapley from the University of California, Los Angeles. They won the prize for their research on how to match different economic agents such as students for schools or even organ donors with patients. The Royal Swedish Academy of Sciences, which made the award, said the 8 million crown ($1.2 million) prize recognized "the theory of stable allocations and the practice of market design". The 24-year-old Indian Golfer, Gaganjeet Bhullar won the Venetian Macau Open title, his second title in less than a month on Sunday (15th October 2012). Bhullar finished with a birdie to sign off at 16-under 268, two shots clear of American Jonathan Moore, who had five birdies in his last five holes. Moore finished second, while Thitiphun Chuayprakong (70) of Thailand and Siddikur (66) of Bangladesh were tied third and Kapur (67) was fifth. Ali Zidan, a former diplomat and lawyer, became the Libya's new Prime Minister on Sunday's night (14th October 2012). Libya's 200-member General National Congress has elected him as a new prime minister. Mr Zidan was a career diplomat for Colonel Muammar Gaddafi before defecting in 1980 and joining the opposition in exile. Local observers see him as a liberal with a strong personality, says the BBC's Rana Jawad in Tripoli.The previous PM, Mustafa Abu Shagur, was dismissed a week ago after failing to form a government. Finally all of you successfully completed writing your SBI Associates Clerks Exam and thank you so much for your reviews on our Complete Preparation Material for the same. 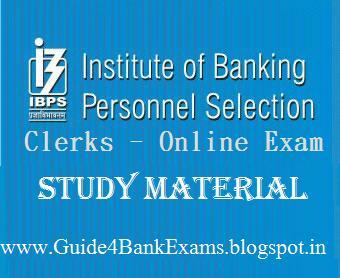 Now its time to prepare for IBPS Clerks Online Examination which is going to be held in the coming December. This time we want to take your opinion and reviews to prepare the complete preparation material for IBPS Clerks exam so that we can make this program more efficient and useful. Friends, here is the practice paper of General and Banking Awareness Section of IBPS Clerks Online Examination 2012. For this section you will get 40 questions. 20 Questions from General Awareness (Current Affairs and GK) and 20 Questions from Banking Awareness (Important Events recently happened in Banking Industry and Basics of Banking). We've created this sample paper in the same pattern which you are going to face for the IBPS Online Exam. So we feel it will be useful for you in your preparation. Don't forget to LIKE our Facebook Page here for daily updates of IBPS Clerks Exam. Friends, These are the GA questions asked in today's (14th October 2012) SBI Associates Clerical Exam. Thanks to our Readers Janu Panchagnula and Janu Padmavathi for sharing. The girl under 21 age,who run 15000 kms in london olumpics ? The organization which is going to sporsor Bangladesh Cricket team? Name the state which we call as God's Own country ? Name the first Chinese Woman Astronaut ? Writer of God of Small Things book ? Name the Gajal singer who died recently? Wisdon outstading award goes to ? Full form of IPL ? Rajiv gandhi national sadbavana award goes to ? Chief election commissioner of india is?